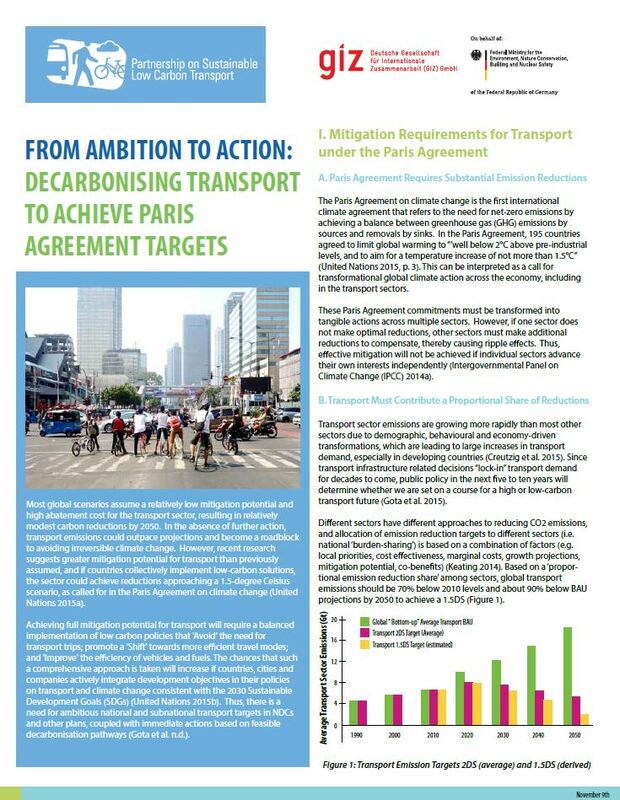 The brief indicates mitigation requirements of the transport sector under the Paris Agreement and how mitigation action of transport contributes to the potential of achieving the 1.5 Degree Scenario, and plays a role within the development of National Determined Contributions and Long Term Emission Reduction Strategies. The event, “From Ambition to Action: Decarbonising Transport in Germany and Abroad”, held within the framework of the COP23 at the GIZ Headquarters in Bonn, was guided by this work and expanded upon ways to implement more ambitious climate actions in transport. Find more information about the brief here.